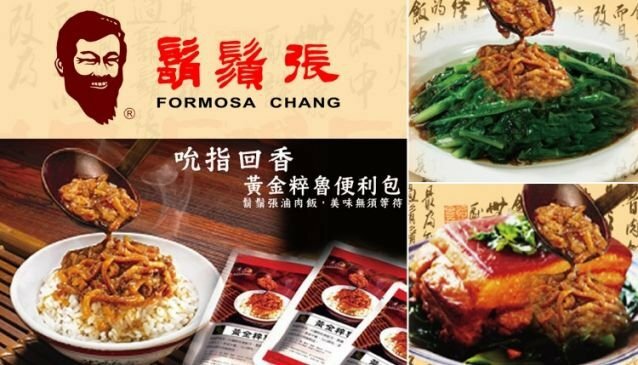 For quick afternoon bites there is no better place to do it fast, hot and local than Formosa Chang (鬍鬚張). All of the prime Taiwanese favourites are found here and the food comes as fast as it does cheap. Meals, when eating to outright capacity, shouldn't surpass a bill of 150NTD per person. Formosa Chang is an excellent option for those who aren't fussed about anything other than the nourishment and need to get it done in a hurry. Hearty foods served at Formosa Chang and although there is a variety, the basics are best: fatty stewed pork rice (滷肉飯), served with pickled ginger and a side of steamed vegetables and soup of the day.